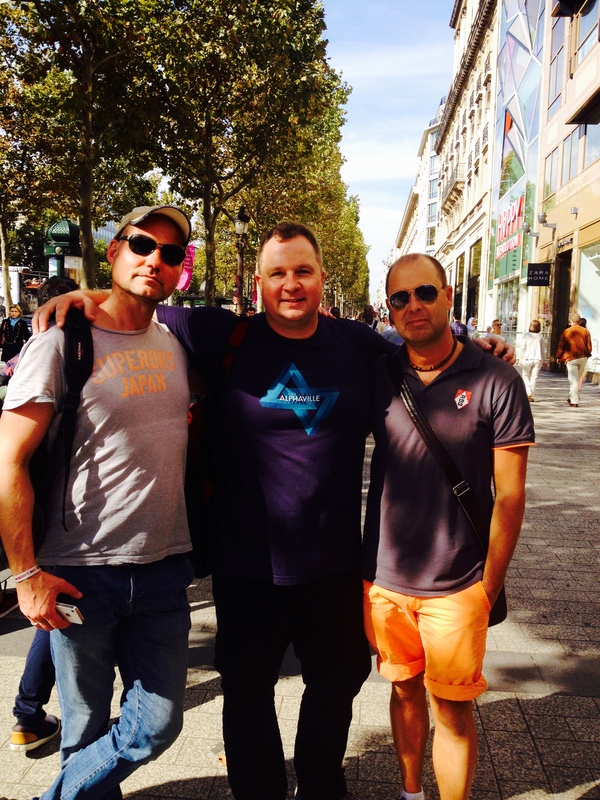 After about an hour’s walk we reached the Arc de Triomphe. To my delight , we noticed that It was possible to go up to the top of the huge building. The view was magnificent and the friendship even more. It was a joy. 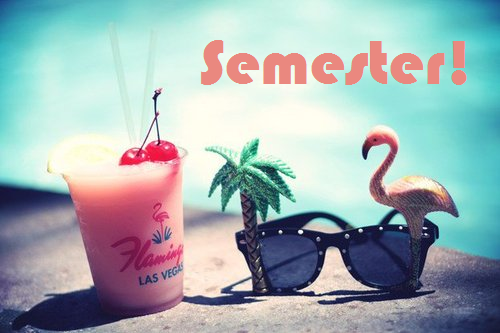 …and our stomachs became more and more interested in getting food. We planned something simple on the street , but it was not until we reached the park Jardin des Tuileeries that we found something that we all liked. Then we were really hungry. 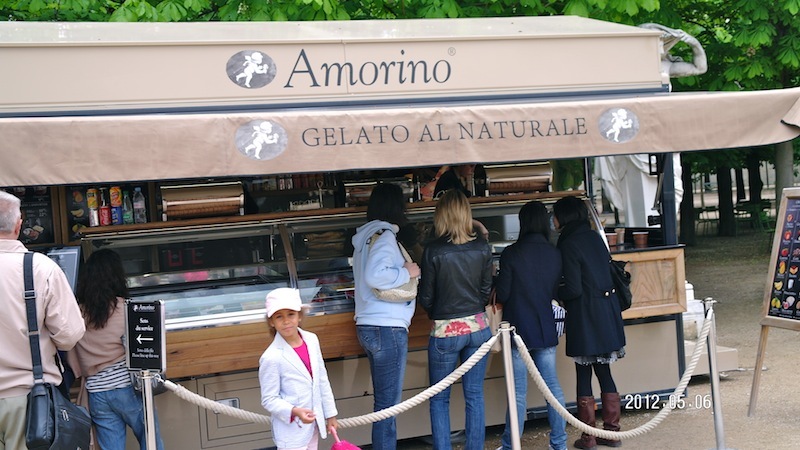 In the park , we found the tastiest and most beautiful ice cream we ‘ve ever tasted, Amarino Gelato. 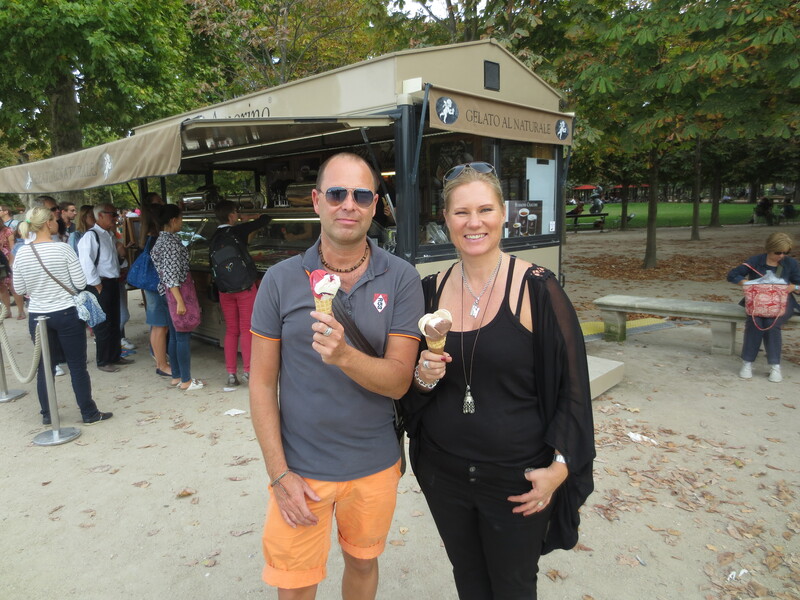 It was an ecological and even biological icecream and it was made in Italy – of course 🙂 We did also found a lovely spot under the trees where we stayed, enjoyed our ice-cream and talked and took it easy for a while. Then we continue our walk to the enormous Louvre. We were not even thinking of going into the museum. We watching the buildings and the beautiful park instead. We ended the day´s sighseeing with a glass of wine at an outdoor cafe and then said goodbye to Stefan and Imme who would leave to the airport. 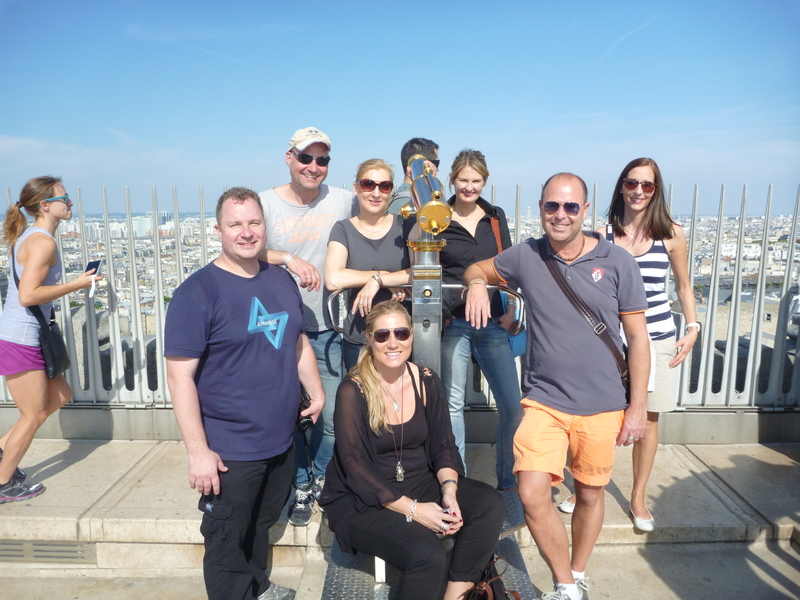 Shortly after that , we also said goodbye to Sabrina , Silke and Mike. In the evening we took a dinner with a bunch of more or less crazy Swedes below the Sacre Coeur and said goodbye to all of these wonderful friends aswell. Now we were soon on our own.